Concept Art for Entertainment: Pictorial Composition Online Class! Study Concept art with me from anywhere in the world through my online class! Fully critiqued or self taught versions available. More info and registration here. Hosted by the great people at Schoolism! 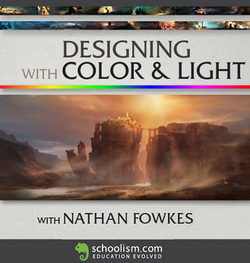 Concept Art for Entertainment: Designing with Color and Light Online Class! 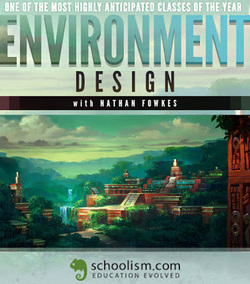 Concept Art for Entertainment: Environment Design Online Class! Study Concept art with me from anywhere in the world through my online class, fully critiqued or self taught versions available. More info and registration here. Hosted by the great people at Schoolism! 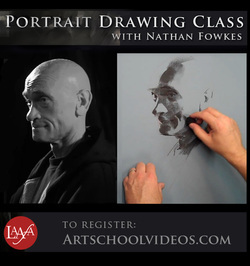 Drawing the Portrait in Charcoal Online Class! Study portrait drawing with me from anywhere in the world through my online class! More info and registration here. Hosted by the great people at LAAFA! 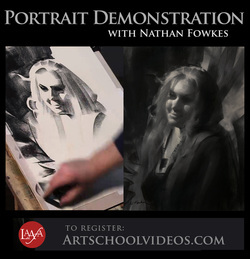 Join me as I take you through the entire portrait drawing process in this full portrait drawing demonstration! More info and order here. Hosted by the great people at LAAFA!